Shaquille O’Neal is one of the most famous basketball players of all time and he’s also used his fame to conquer other fields such as acting, rapping and property development, but his recent venture to the world of online gaming may be the greatest Shaq Attack of all. 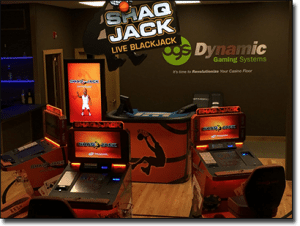 Together with Dynamic Gaming Systems, Shaq has developed his own form of live dealer blackjack and the result? ShaqBLACKJack (or ShaqJack as it’s affectionately being called and with a much nicer ring to it). ShaqJack is due to debut at the Parx Casino in Bensalem, Pennsylvania on October 4th. According to a media release, the game has literally been four long years in the making, with Shaq being actively involved every step of the development process. 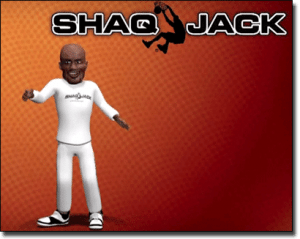 ShaqJack is based around the classic rules of blackjack, but with the addition of Shaq’s own flavour. It’s a live dealer blackjack game consisting of a live host who deals three hands instead of the standard one and players get to choose which hand they play against (other than that, it’s pretty much your standard blackjack game). What makes it uniquely Shaq is that an animated version of him pops up from time to time to congratulate you on a win. This will either be highly appealing or ridiculously unnecessary depending where your personal view of Shaq lies. Either way, we hope we can get our hands on this game as soon as possible as it sounds like a good laugh to have while also enjoying a new form of live dealer blackjack. 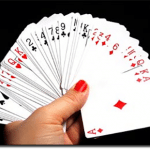 What is live dealer gaming? 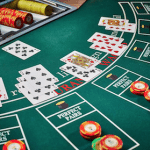 If you’re not familiar with this awesome new form of entertainment, live dealer gaming is a popular new online gambling method that allows punters to play table game for real money directly against a real human dealer. Games are hosted by friendly, courteous and attractive women and men from sophisticated studios that are set up to perfectly replicate gambling at a high end casino. Using the latest in video technology, games are streamed in real time in full high-def quality direct to your computer, tablet or smartphone so you can place real money bets in a social atmosphere and watch as the results unfold before your very eyes. Live dealer gaming is ideal for those who are wary about random number generated (RNG) games and those who want to combine the convenience of online play with the social elements of land based gambling. While only time will tell if ShaqJack becomes available at our recommended casinos, Aussies can try real money live dealer blackjack at secure venues like www.GDayCasino.com.